Written and produced by Diplo and Switch’s major Lazer featuring Amber Coffman of the Dirty Projectors, Get Free bring us back as much in the past with its ragga vibe, its 90’s type of voice that in the present with it’s drum treatment. What a melody! In exchange for your email, you can download the track along with a a Bonde Do Role remix of the song on Major Lazer’s website. 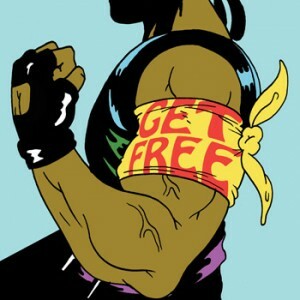 By the way, Major Lazer’s European tour kicks off April 18 !